I'm doing ANOTHER purge because I am going insane. I'll probably be posting some more stuff in the next few days, but I'll probably have an even bigger pile to take to Beacon's. My goal is to fit all my clothes on a small rack (as opposed to 4 drawers, one and a half closet railing where things are hung 3 to a hanger and about 3 big piles in different parts of my room. 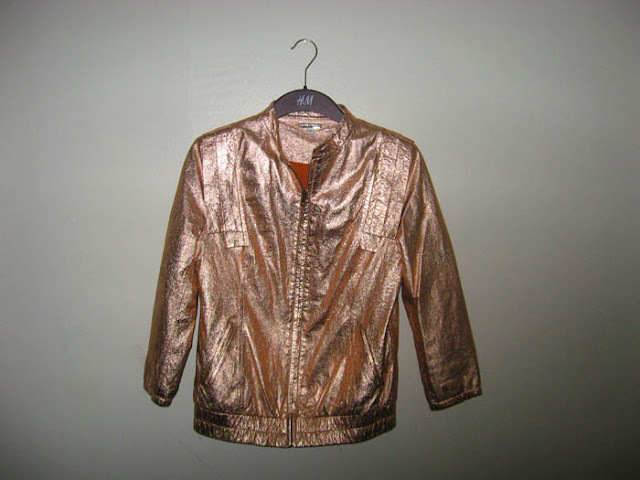 Loeffler Randall Metallic Leather Jacket Sz 4 $115Super rad. 3/4 sleeve with elastic, made for scrunchin', if you know what I mean. It has killer Michael Jackson-like wing-things at the shoulders. 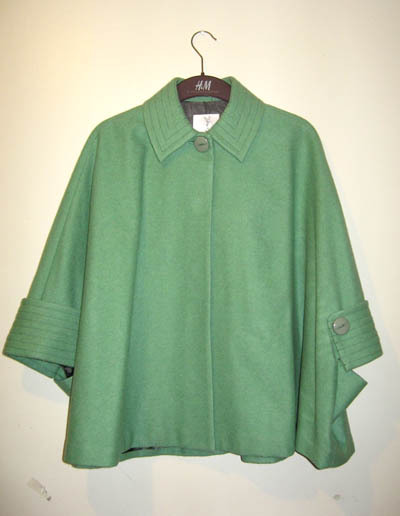 Zip front, two front pockets. As seen here! 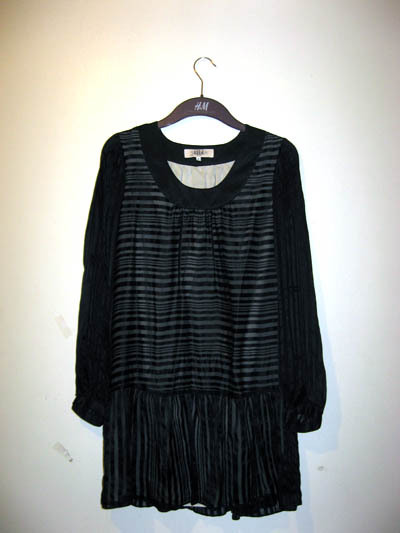 GONE!Cool vaguely Chanel-esque dress made in sheer black striped fabric. Drop waist with a little peplum skirt. Bodice is fully lined, sleeves are sheer. GONE!Super cute cape. Hidden snap closures at the front. Fully lined. As always, free shipping within the US. I do ship international, cost depends on where you live of course! I'm open to other offers as well. Oh dear, your closet/drawers/piles/suitcases/backs of chairs/boxes of clothes sounds like mine!!! I need to purge as well (Big R is not happy with the sitch) but I have the urge to own your metallic jacket and tibi dress...OH DEAR!!! Man alive, these sold fast! i keep thinking these are all from H&M because of the hangers.